Is your family your highest priority? Mine certainly is. 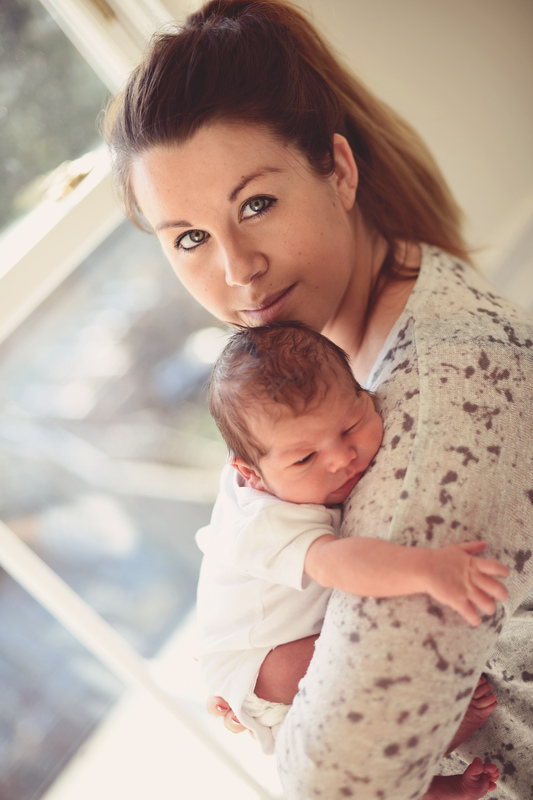 First, I am a wife to a very supportive husband and a mother to a beautiful daughter. 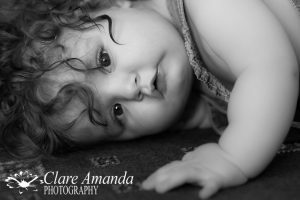 Second, I am Clare of Clare Amanda Photography, a family lifestyle photography service who appreciates your highest priority – your family. 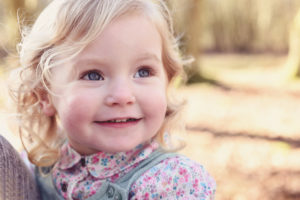 I specialise in capturing moments in time of your family life as it really is…the cuts and bruises, the missing milk teeth, the freckles and messy hair and the joy and laughter of play. This is on-location photography, either in a nearby beauty spot or in your own beautiful home and garden. I will happily travel to any RG post code area covering much of the North Hampshire and Berkshire areas. Your session will be kept relaxed and fun, focussing on the interactions between the people in your family and your hobbies or pastimes if you wish. For a full session, you will be my only booking of the day giving you and your family time to warm to me and be comfortable, while also allowing time for snacks and naps (both of which can also be great for capturing these memories). Pets – well, they too are a part of your family, so of course they should be included in your photographs. 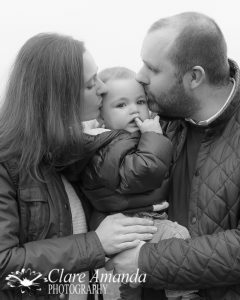 If you haven’t got the luxury of a day and would still like some beautiful family photography, I also offer a mini-session of around 30 minutes, although this isn’t suitable for very young children or pets as they take a little longer to work with. Following your session, you will have the opportunity to purchase from a selection of high quality canvas prints or beautifully mounted and framed printed images to suit the walls of any home. They will be products you will be proud to show off in your home. 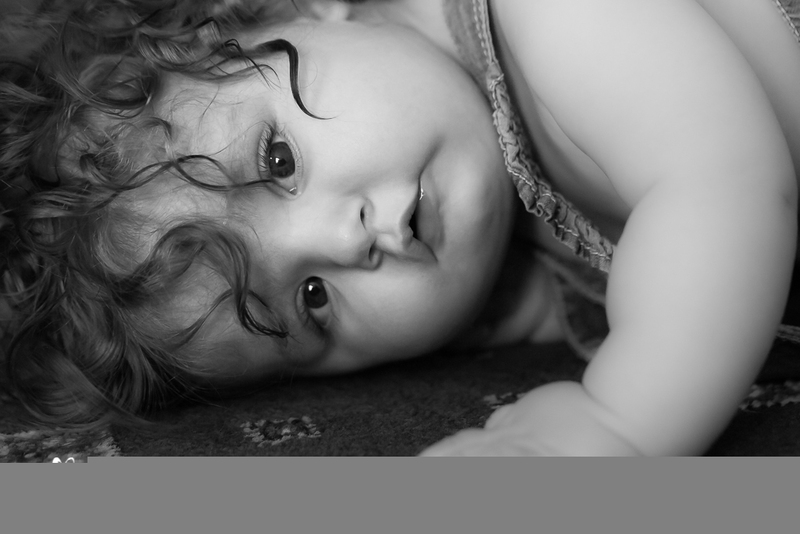 With each printed photograph, you will receive a complimentary digital version of that image. If you prefer, you can purchase just the digital versions of your photographs, for both printing and for sharing digitally. Bookings can be made for any weekday or Saturday. I prefer to keep evenings and Sundays free for my precious family time. If you’d like to chat to discuss what I can do for you, you can find my contact details on my website, www.clareamanda.co.uk. You can also head on over there to see what I can offer you. Remember, your children won’t stay young forever, but these photographs will make lasting memories. 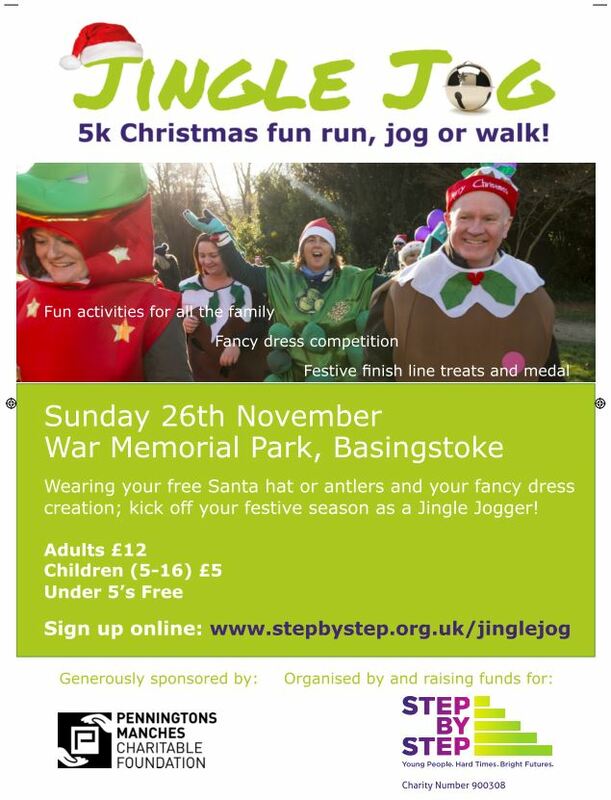 Join Jingle Joggers of all ages to complete our 5K Christmas fancy dress fun run at War Memorial Park, Basingstoke. 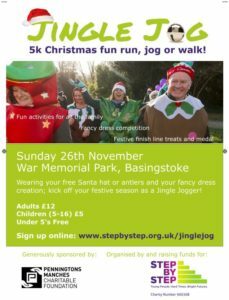 Every Jingle Jogger will get a Santa hat or reindeer antlers to run in, and is challenged to don fancy dress to be in with a chance of scooping the prize for the best festive costume. People of all ages are invited to take part, with no pressure to run the course; it’s the taking part that counts! There will be fun Christmas activities for joggers and spectators to enjoy, refreshments available and complementary water and mince pies for hungry Santa’s at the finish line, as well as a medal to celebrate your success! Gather your family, friends or workmates and kick start your festive season with the Jingle Jog! This event in generously sponsored by Penningtons Manches Charitable Trust. They say time flies when you’re having fun, and that couldn’t be truer than when you have a child. It seems like only yesterday my son Flynn was born, but it was in fact nearly eight months ago. Where has that time gone?! Now thanks to a lack of sleep and the dreaded ‘baby brain’, I can barely remember what happened yesterday, let alone cast my mind back half a year to what facial expressions he used to pull, the clothes he used to wear, or how his hair used to look…..
….Fortunately I have my photographs to remind myself of those little details. 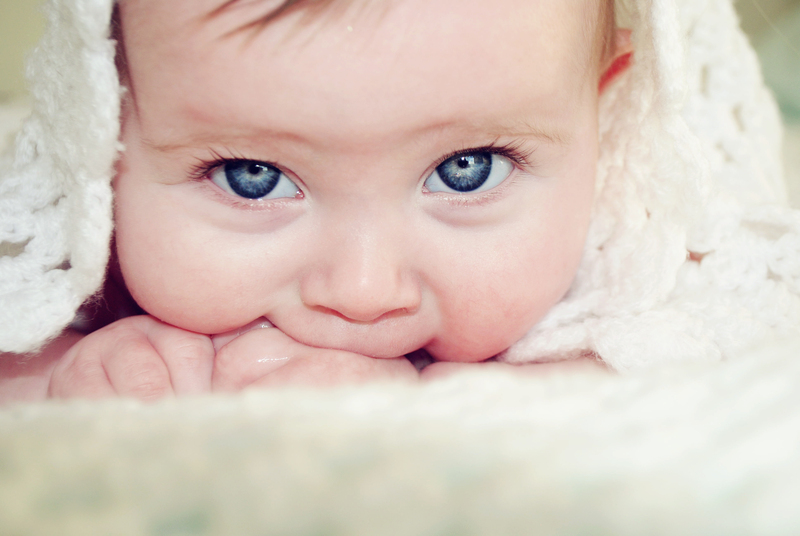 My name is Emily Gregory and I am the owner of Baby Love Photography. 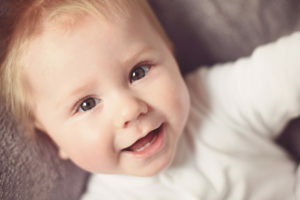 I absolutely adore taking photos, whether it be of a newborn baby having not long entered the world, a six-month-old who is really starting to explore or a one-year-old well and truly on the move. 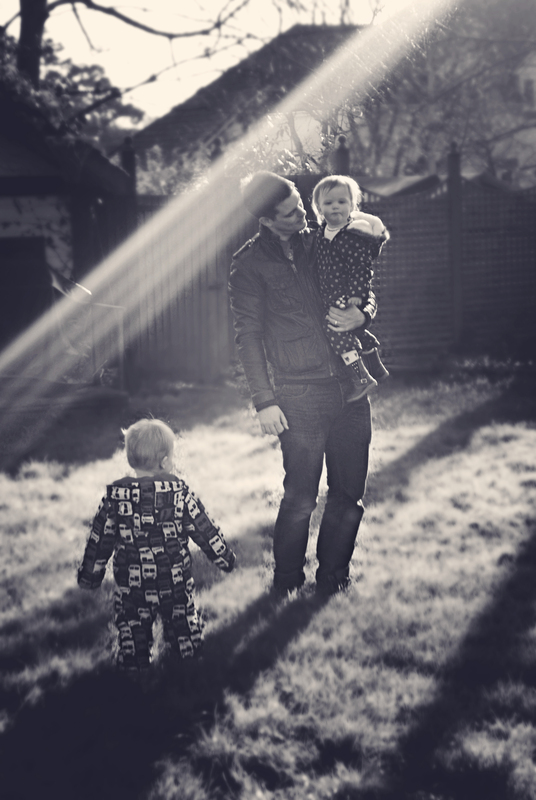 I’ve spent many a shoot running after toddlers or gently encouraging dads in front of the camera, despite their protests of “You don’t want an ugly mug like me in the photo”. 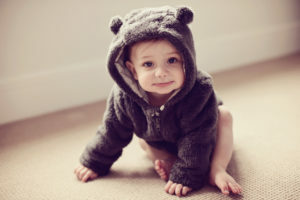 If it falls under the remit of baby, child or family, I’ll capture it! I am a lifestyle photographer, meaning I take the most natural of photos in the most natural of environments. I don’t work in a studio – I shoot on location, so either in your home or at a location of your choice. I use natural backgrounds and light wherever possible, but don’t worry if your home isn’t blessed with windows galore – my camera is well equipped to cope in darker conditions. For just £100, you will receive a 1-2 hour photoshoot and 10 digital images. These will be delicately edited and emailed over to you to use as you please, whether that be displaying them on social media for all to see, forwarding them to friends and family abroad or printing them out and giving them as Christmas presents. So what are you waiting for? 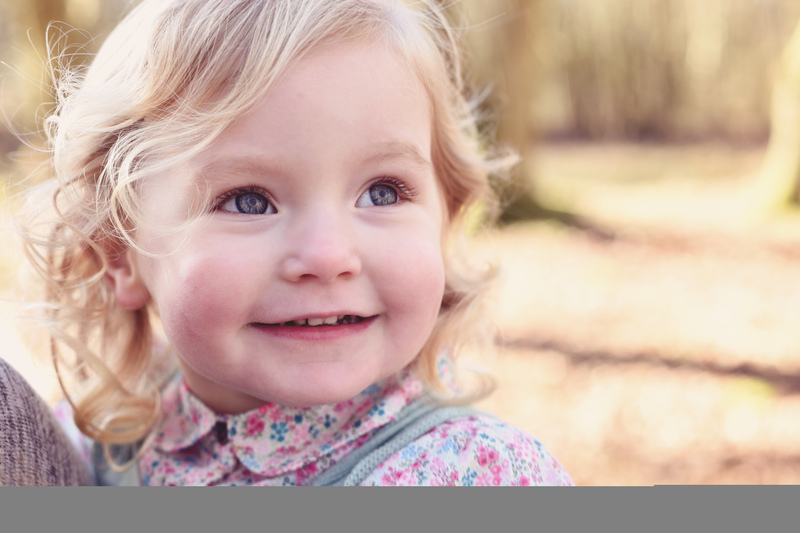 Book a photoshoot with Baby Love Photography now and allow me to create some beautiful lifestyle shots that you will treasure forever.